Somehow, I became so bored at work that I found myself browsing through Vanity Fair's list of the best-dressed people in 2012. After gawking at several fashionable celebrities, it hit me: why not do the same for video game characters! 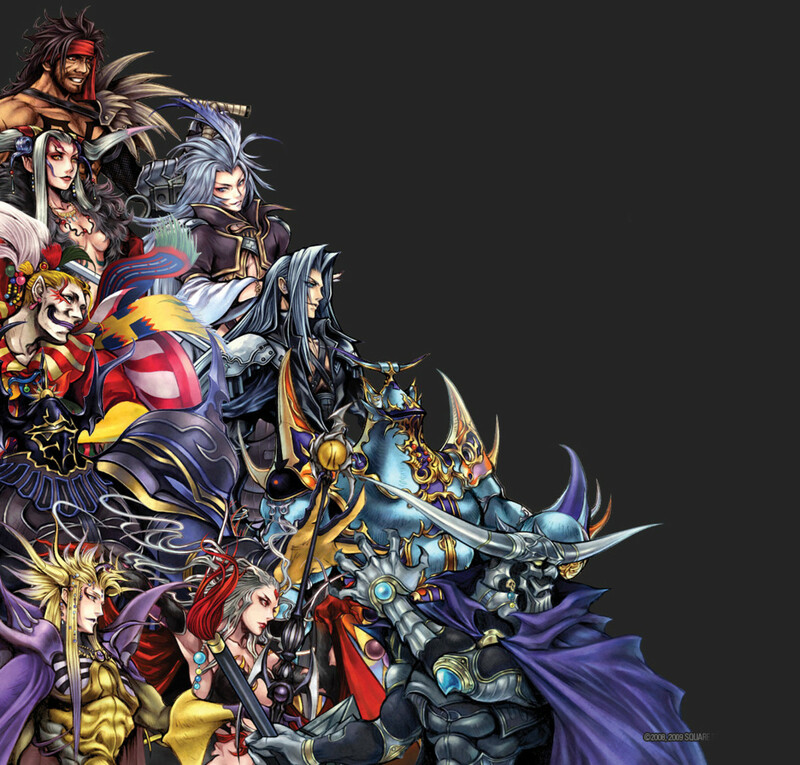 First up on the list, the heroes of Final Fantasy. In a series known for having some ridiculous get-ups, lets find out which characters look the least idiotic. 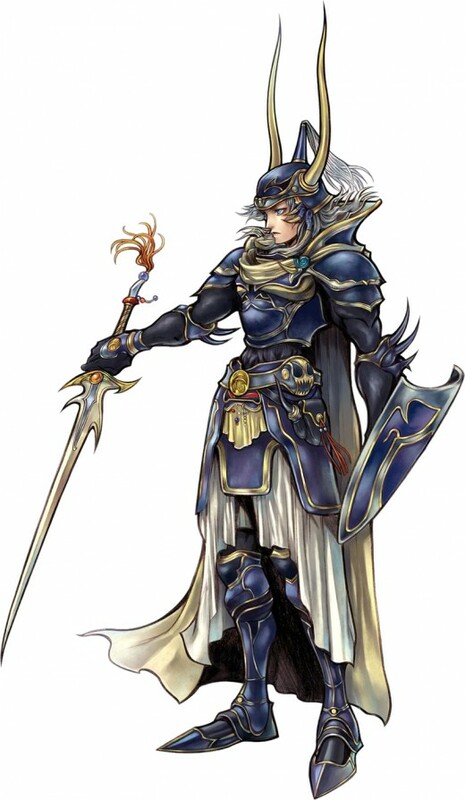 Wearing: Blue armor with yellow trim with matching shield and big horned helmet that Loki would blush at. Also, cape. Verdict: Best Dressed: Not sure about those leg-curtains but other than that, WoL is rocking some pretty sweet looking armor. Besides looking very regal, it also looks very protective. 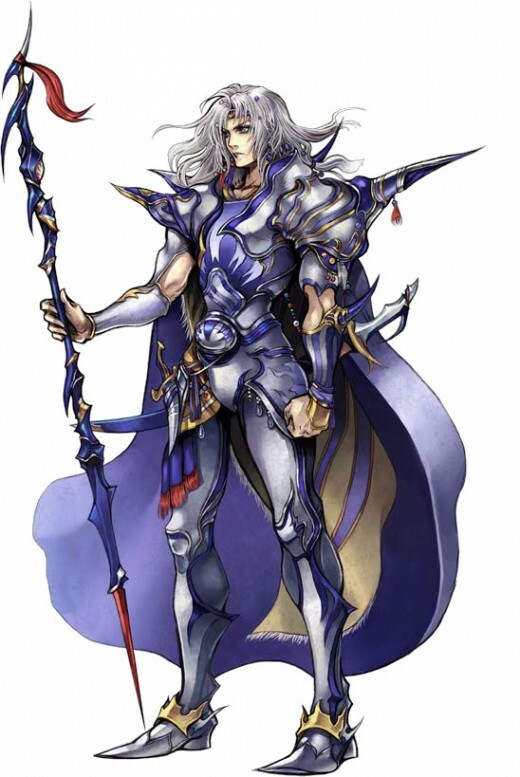 Plus, if WoL ever lost his sword, he could just come at you like a bull and impale you with his horns. Decorative and functional; the perfect outfit. Occupation: Rebel soldier, walking arsenal. 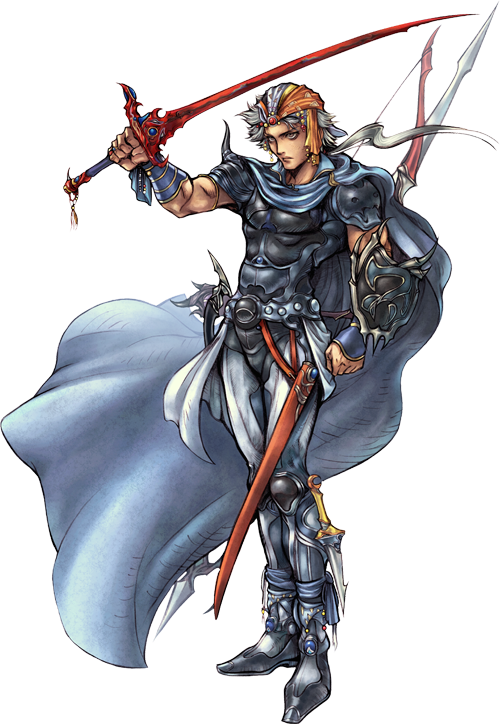 Verdict: Best Dressed: The fact that roughly 50% of his attire is comprised of weaponry makes Firion a fashion success. I mean, would you ever make fun of what he's wearing when half of it can kill you? Oh, those boots you just made fun of? One holds a dagger, which is now lodged firmly into your eye socket. Wearing: Fiery-red armor, tasseled orange waist curtains, feather duster helmet, white cape. Verdict: Worst Dressed: I'm sorry (not really), but Onion Knight looks like a total dork and not just because he/they are one. 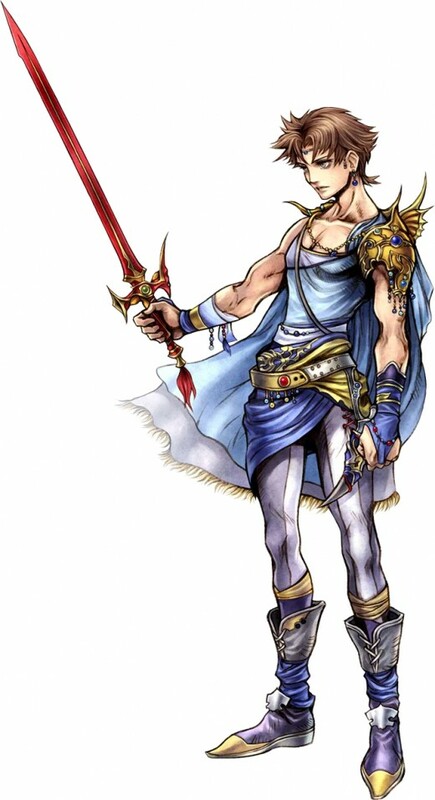 He's wearing what looks like a tablecloth wrapped around his waist, and his pants knee-high puffy pants would put him over big with Sora from Kingdom Hearts. His helmet is equally atrocious; it looks like he stuffed the pokémon Ninetales into his helmet and called it a day. What a jerk. Occupation: Former badass Dark Knight (hold the Batman jokes) turned not-quite-as-badass Paladin. Johnny Depp look-a-like. Wearing: Luminous white armor with blue accents, flowing blue cape, ankle crowns. Verdict: Best Dressed: Baby blue and white isn't exactly threatening, but the color coordination works great and he looks the part of a Paladin of Light, which is the idea. Cecil's ankles are apparently royalty too, shown by their crowns. Name: Bartz (or Butz, *snicker*) Klauser. I'm sticking with Butz. Wearing: About half of a white top, striped stocking (bleh), light blue cape, gold shoulder guard, about a quarter of my mother's wardrobe around his waist. 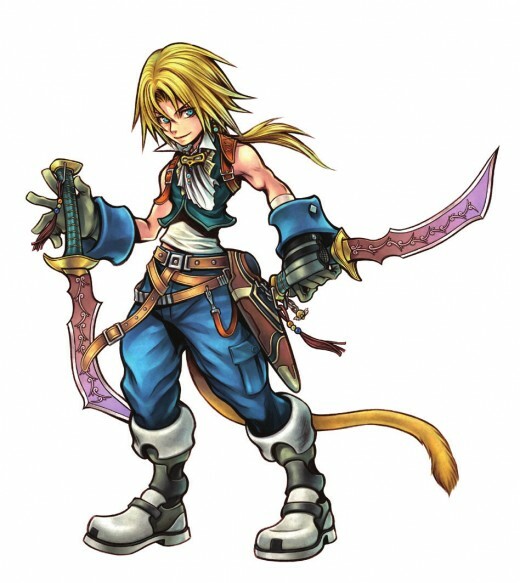 Verdict: Worst Dressed: Butz looks like Firion's pansy kid brother. I mean, striped stockings? Really? His boots are either too large or Butz can't tie his laces; probably both. What's with the girly, low hanging shirt? Are you a warrior or a Hollister model? This whole outfit stinks; and as Phoenix Wright taught me, if it smells, it's usually the Butz. Occupation: Half-human, half-esper resistance fighter, former slave to an evil Empire. Wearing: Apple-red top with floral patterns, floral white stockings, beautiful pink silk cape and sashes. Several gemstones adorn the waistline. The world's deadliest boots. 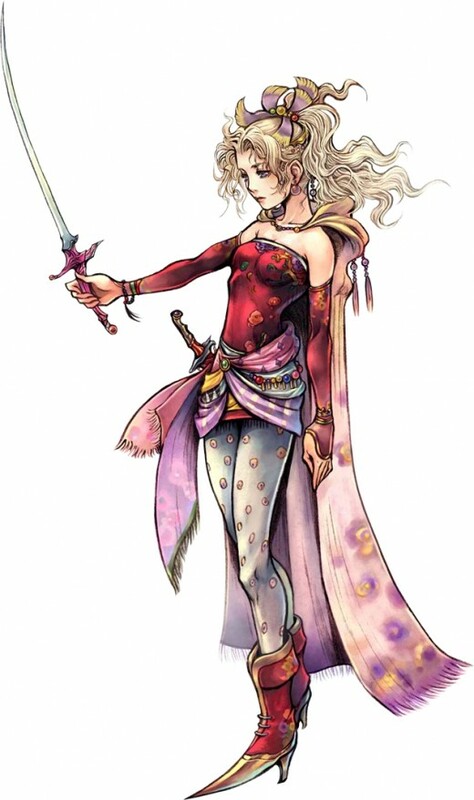 Verdict: Best Dressed: Miss Branford is like the Taylor Swift of Final Fantasy; her outfits are a little out there, yet they somehow work. For a supposed warrior, her clothing isn't exactly protective, but she's half-esper, so that probably increases her damage threshold anyway. What's up with those pointed heels though? Those things look straight up lethal. 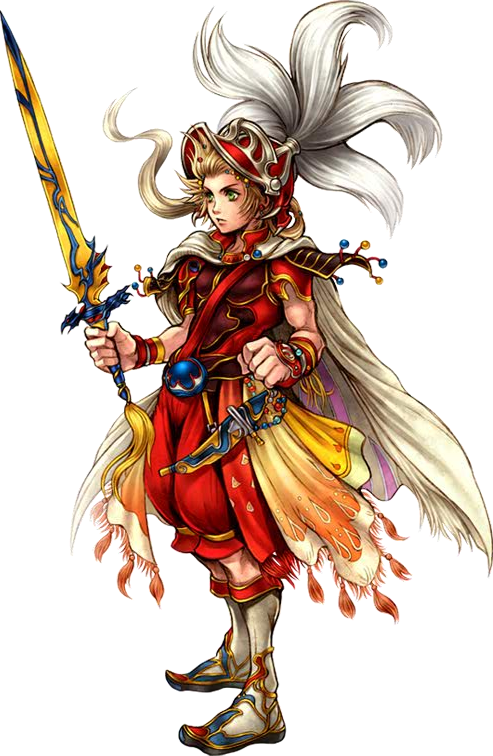 If Terra had simply delivered a swift kick to Kefka's groin wearing those things, he would never recover enough to make the world all ended. 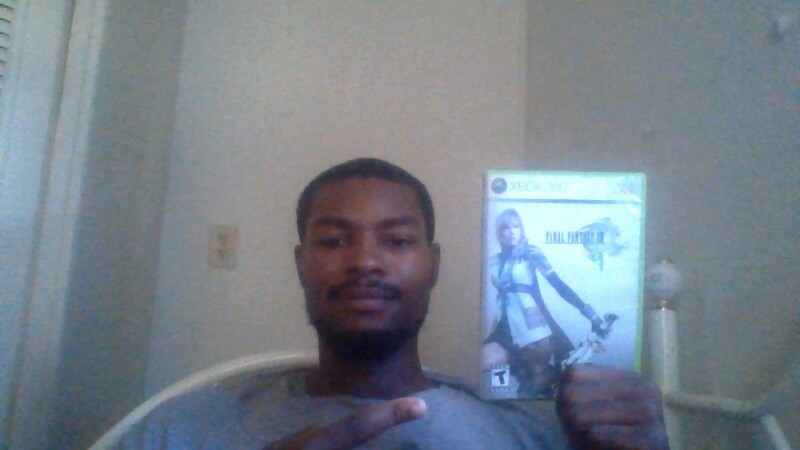 Occupation: A 1st Class member of SOLDIER, an elite military group of Mako-enhanced super soldiers. 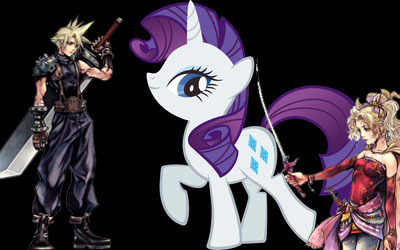 Just kidding, that was really his more likable friend, Zack; Cloud is just a loser that stole his identity. Wearing: Black sleeveless turtleneck, baggy work pants, boots, metallic shoulder guard, some kind of belt/suspender hybrid thingy. Verdict: Best Dressed: He might have trouble remembering who he is but at least he hasn't forgotten how to dress. Cloud keeps things refreshingly simple with just some plain boots and pants and a turtleneck that would make Steve Jobs proud. He actually looks like a foot soldier and not like an overdressed buffoon. I've never understood the concept of a single shoulder guard, though; wouldn't you want both of your shoulders protected? 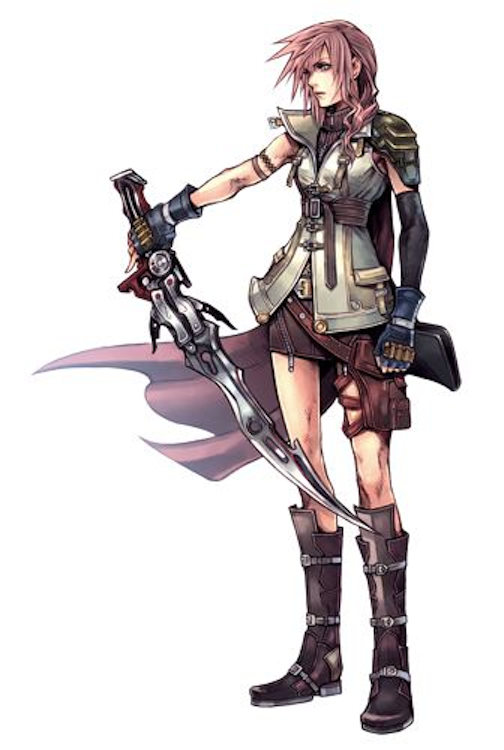 Occupation: Student at the Balamb Garden military academy and member of their SeeD mercenary group. A master wielder of cold indifference. Wearing: A white V-neck smothered by a whole cow's worth of black leather, including a jacket that has what appears to be a dead ferret as the collar. Belt buckles galore. 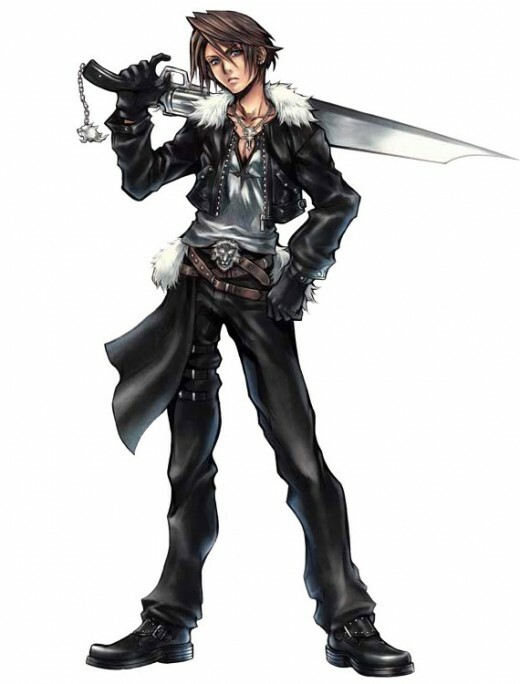 Verdict: Worst Dressed: Squall is PETA's worst nightmare. How many poor cows were gun-bladed down to tailor that outfit? Either it's freezing in...wherever he lives, or he's trying a bit too hard to look like a tough guy. Squall is kind of a jerk, and he knows it, illustrated by the douchey handkerchief he keeps at his side. That way, people have something to dry their eyes with after being hurt to the point of tears by one of Squall's cold insults . Also, it does not take that many belts to hold up a pair of pants. Occupation: Professional thief, would-be "Angel of Death" (it's complicated and kind of dumb). Horrible nicknamer. Wearing: Vest with an old-timey frilly collar, sleeveless cuffs (huh? ), cargo pants, high boots, belt-a-palooza. Verdict: Worst Dressed: I give Zidane credit for trying to inject a bit of old school class into his wardrobe, but it just falls flat. First off, what happened to the rest of his shirt? Did someone rip the sleeves off and leave the rest? Maybe Zidane gave that person an awful nickname like "Spatula" and pissed him off. I could see that. 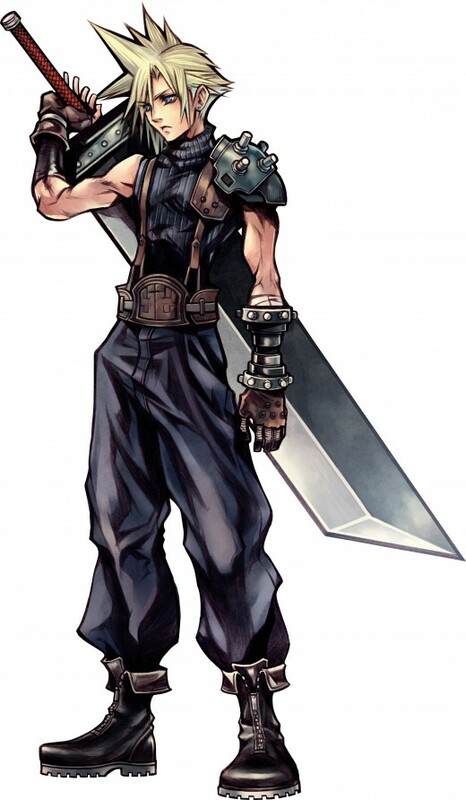 Zidane also seems to be a graduate of the Squall Leonhart School for Unnecessary Belt Accessories. Wearing: Uh...I see some shoes and I guess those are shorts? I think there's some collar/hoodie action going on with those overalls/shirt-AH, WHAT ARE YOU WEARING?! Verdict: Worst Dressed (ever): I don't even know where to begin with this guy. 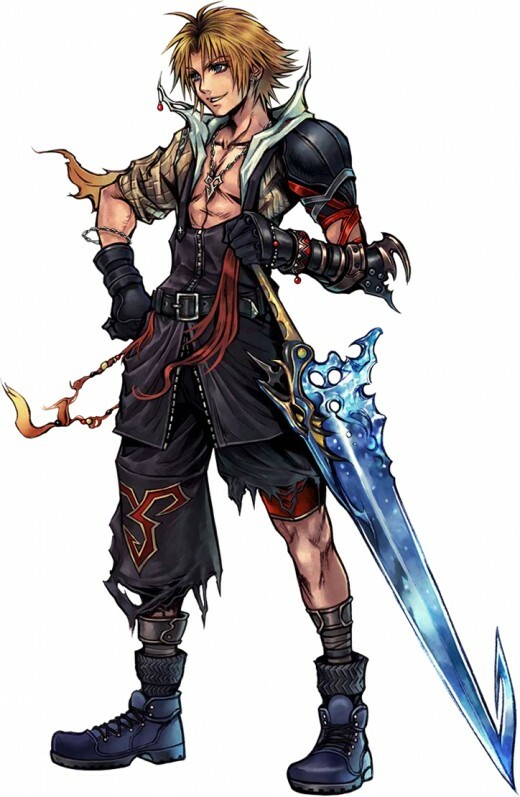 Seriously, nothing Tidus is wearing makes any damn sense. His outfit looks like the unholy offspring of numerous clothing styles that got drunk and mated. Remember that cartoon Klutter, about the pile of random cloths that came to life? This is the seed of Klutter. If that's what passed as fashionable in Zanarkand, then it's not just a dream; it's a recurring nightmare. Occupation: Orphan (business isn't exactly booming), aspiring sky pirate. Verdict: Worst Dressed: "Mecha-Aladdin" is what comes to mind. 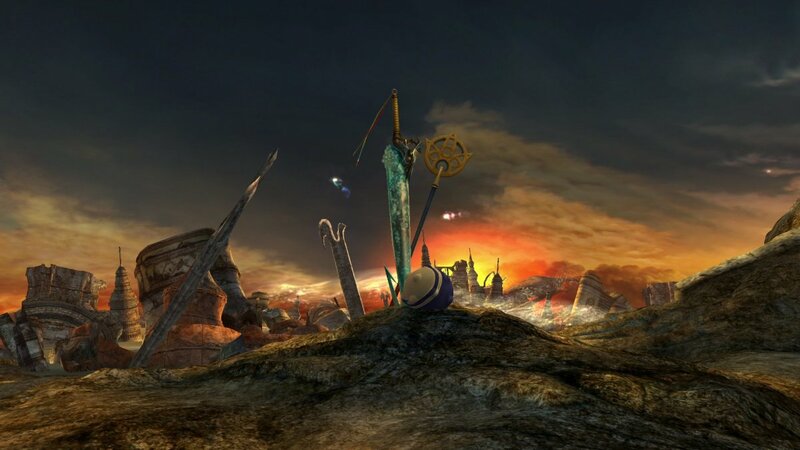 Vaan looks as if he radiates a magnetic field and his "armor" is actually random metal parts that attached themselves to him during a stroll through an Archadian junkyard. That vest is whimpy as hell, too. 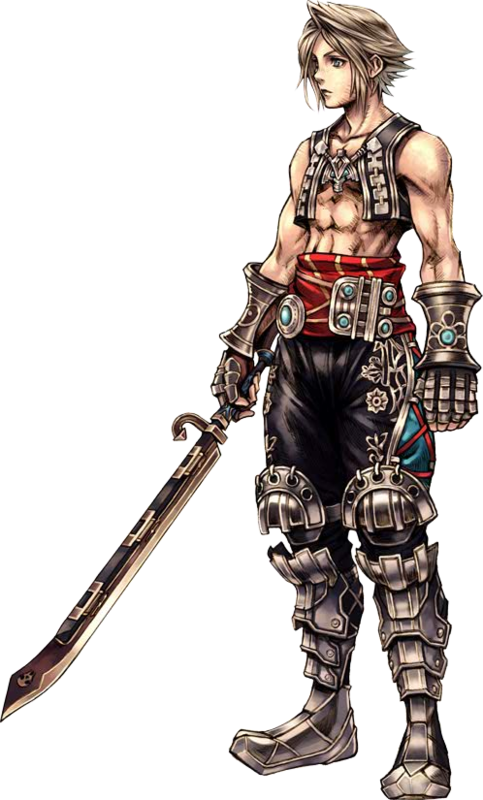 Vaan might not look anything close to resembling a capable warrior, but he'd make one hell of a lacrosse player with those shin guards of his. Wearing: Cream-colored sleeveless top, brown mini-skirt, red satchel, black sleeve with blue gloves, some green shoulder doohickey, high combat boots, red scarf/cape. Verdict: Best Dressed: There's a reason why she's the best Final Fantasy protagonist. The girl knows how to dress. Her french inspired design is still exotic enough to fit her sci-fi setting, normal enough to not too ridiculous. The color scheme compliment her skin, and especially her hair, nicely. If only FF XIII's story worked as well as her wardrobe. Agree or disagree with my expert, i say, expert fashion analysis? Give your own critiques below!